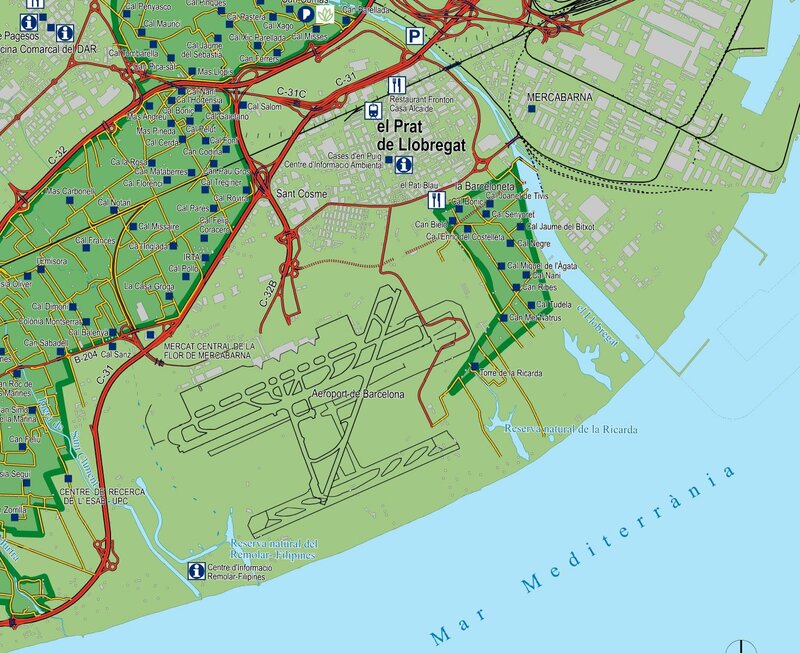 In our third installment of case studies related to our program’s field of research and practice, here is our roundup of cultural regeneration projects, which includes an array of ecological, agricultural and industrial sites in Europe and the US that have undergone important urban planning interventions over the last few decades. We hope you find them useful and interesting! 1. Southern Milan Agriculture Park | Italy – The primary goal of this park begun in 1983 was to recover the lost historical relationship between agricultural and urban spaces in the area, which was achieved through the conservation and support of agricultural activity, the protection of the environment and landscape and the creation of recreational nodes and public network of paths superimposed on the existing agricultural network. 2. Parc Agrari del Baix Llobregat | Catalunya, Spain – The effects of urban sprawl and industrial expansion on this treasured agricultural landscape during in the second half of the last century gave way to the creation of the Parc Agrari de Baix Llobregat (the Lower Llobregat Agricultural Park) in 1998 that defines and organizes the protected areas of the region and which has enabled a multitude of local initiatives and proposals establishing the Llobregat as a heritage route and reclaiming its river. The model is largely based on that of the Southern Milan Agriculture Park mentioned above. 3. 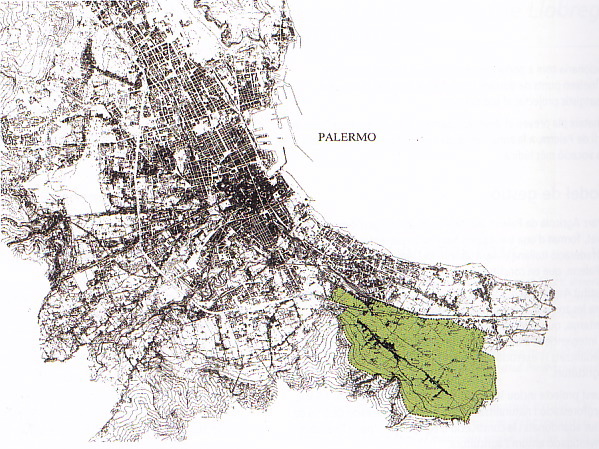 Agricultural Park of Palermo | Italy – Threatened by the pressure of urban development from the city of Palermo and the suburbs within the park, the regeneration project for this park consists in the creation of a public route 4.5km long, the reforestation and natural protection of 15ha, the recovery of 5ha of abandoned crops and the construction of facilities for agricultural education and research. 4. 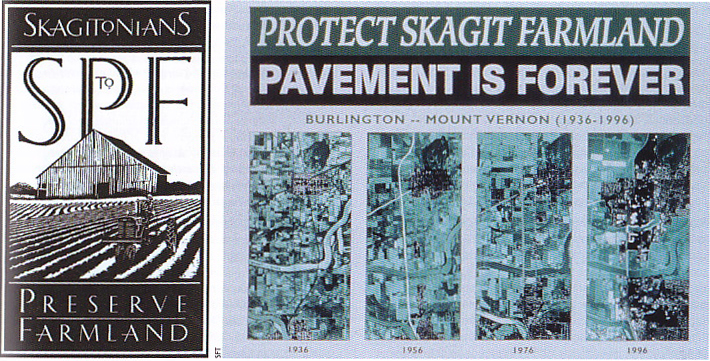 Skagitonians to Preserve Farmland | Washington, United States – SPF is one of the entities created in the 1990s to combat the decline in farmland in one of the most agriculturally productive regions in the nation, protecting farmland and advocating for its preservation through educational training and distribution of stickers like the one below. 5. Emscher Park | Germany – Starting in the 1990s, the enormous brownfield site once home to the coal and steel industries that severely deteriorated the region’s landscape was transformed into a motor for ecological and economic development through the creation of a network of green spaces, rail stations, cultural and sport facilities, and technological and business parks. 6. 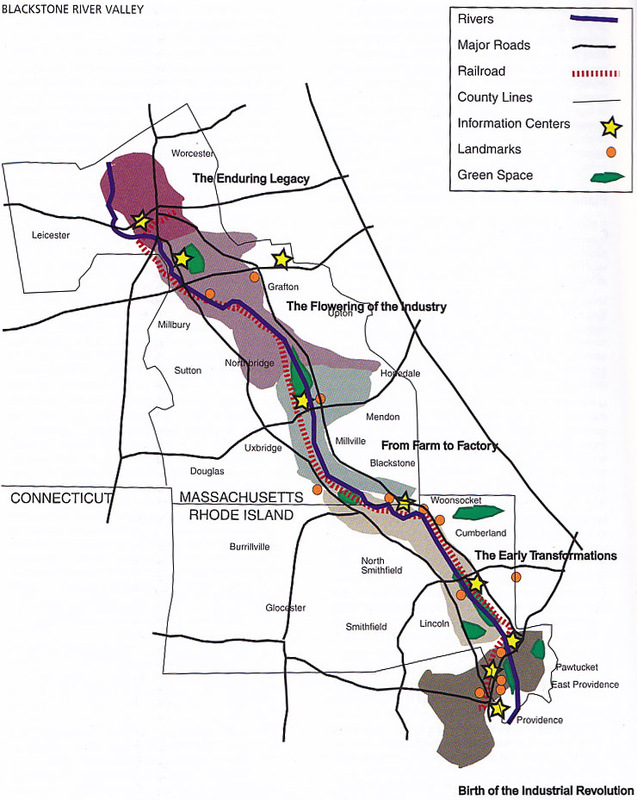 Blackstone River Valley National Heritage Corridor | Rhode Island and Massachusetts, United States – Since the late 1980s, a solid grassroots movement has achieved national heritage status for this industrially emblematic valley. 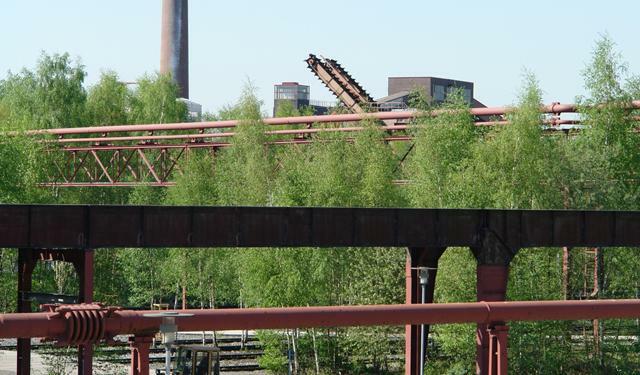 Since then, the linear park has emphasized its natural as well as built resources like mills, villages and transportation networks that tell the story of industrialization, with the aim of providing greater public use into the future. 7. 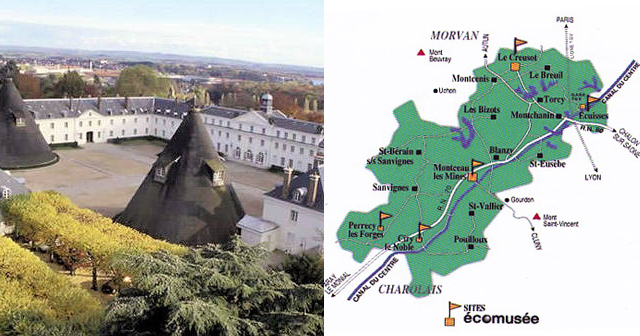 Ecomusée de Le Creusot | France – As one of the actions taken to preserve the industrial legacy and heritage of Le Creusot, the Ecomuseum was created with the aim to participate in community development through the renovation of heritage buildings into museums, schools and housing for the local community. 8. Silos and Smokestacks National Heritage Area | Iowa, United States – Silos & Smokestacks was formed in 1991 as a non-profit partnership dedicated to preserving and promoting the state of Iowa’s contributions to world agriculture through geographical storytelling, grouping its numerous sites according to four major theme areas and tours. 9. 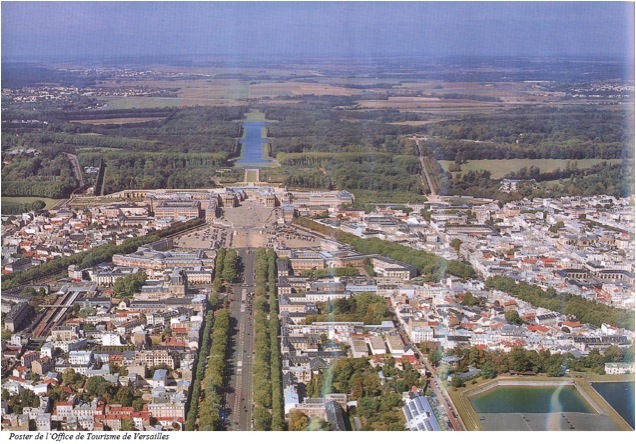 La Plaine de Versailles | France – The preservation and cultural regeneration of the forests that once made up the hunting grounds of Louis XIV behind the Palace of Versailles took root in the late 1990s and was ensured through actions like declaring it a UNESCO heritage site, enabling local agriculture and distribution circuits, and creating pedestrian paths, bike trails and other interventions that assert its ecological value. 10. 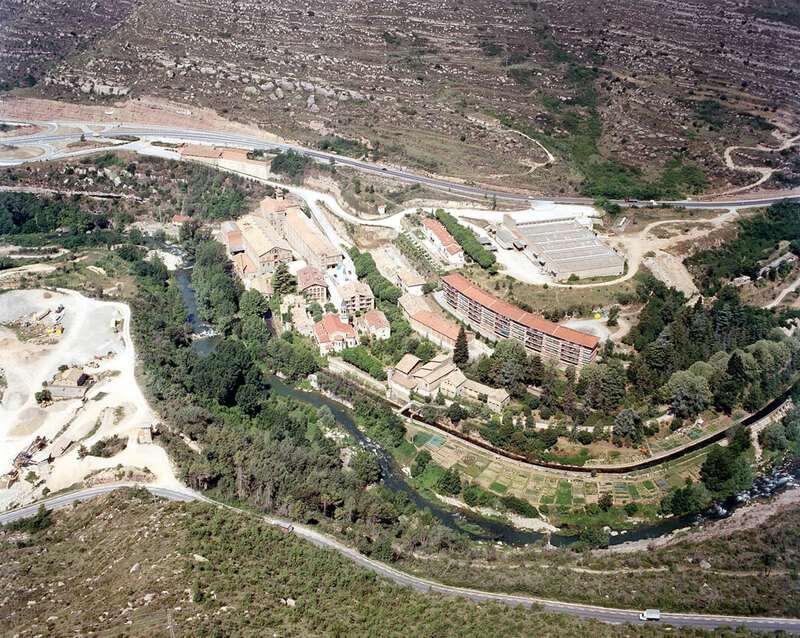 Llobregat Textile Colonies | Catalaunya, Spain – This project developed by our own LAU team between 2005 and 2007 involved the preservation of 15 small textile mill villages spread along the banks of a 20 km long stretch of the River Llobregat in the region of Berguedà, proposing a civic network to ensure the development of vibrant neighborhoods connected through a river park.